What is Escrow and Why Do You Need It? Hong Kong has a well-established common law system based on English law, where the rule of law is upheld by an independent judiciary. My law firm is now providing efficient and professional escrow services to clients with a variety of different business needs. Escrow is a legal arrangement whereby an asset (usually funds) is delivered to a trusted third party (the “Escrow Agent”) to be held pending a contingency or the fulfillment of a condition as predefined in the relevant escrow agreement. Upon that event occurring, the Escrow Agent will release the funds to the proper recipient. Escrow services can be used in a variety of transactions. For example, an upfront fee is required for the issuance of a Banker’s Guarantee / Standby Letter of Credit (BG/SBLC). I have often heard that many people were cheated by paying upfront fees for the issuance of a BG/SBLC., Upfront fees were paid, but the BG/SBLC was not delivered at the end. Had they engaged my law firm’s escrow services, they would have been protected by the well-drafted escrow agreement and would not have lost their upfront fees. For Hong Kong escrow agent fees, it would be in the range of 0.75% - 1.5% of the amount in escrow, depending on the size of the business deal and its complexity. You may be able to find other escrow agents who offer a lower fee, but please bear in mind that hiring a cheap one may look appealing now, it will become much more expensive if anything goes wrong. Once you have decided to engage my law firm to provide escrow services, an escrow account will be set up and an escrow agreement will be drawn up as soon as possible. The escrow agreement will be tailor-made to ensure that your funds will be fully protected up to closing. Any potential clients are always welcome to visit my law office during office hours. 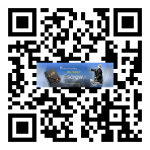 For further information or any inquiries about escrow services, please feel free to contact me.